A fast pace growing city is what you’ll see when you visit Plano, TX. Plano is home to the Shops at Legacy, Old Downtown Plano, and The Plano Balloon Festival. These attractions can keep you busy all day with its vast variety of touristy options. We began working on this blog series to help connect couples with their dream venues. Our list of Top 3 Plano Indian Wedding Venues benefits each couple that wants an amazing wedding weekend. When coming up with this list we thought about events that are part of many Indian Weddings (Hindu, Muslim, Christian and Sikh). Pre-wedding celebrations such as the Garba, Sangeet, and Mehndi nights can be held in the smaller ballrooms. For the wedding day there is a clear path for baraats. The larger ballrooms are spacious enough for the traditional big fat Indian wedding. This hotel is located in a superb area. Nothing says wedding like the Shops at Legacy. From a great lakeview, amazing tourist attractions, authentic food, and nightlife; your wedding will be the talk of the town. This venue has the most experience with Indian weddings, as a result this is how it made it to the the Top 3 Plano Indian Wedding Venues list. Although we have lots of weddings that happen at this Marroitt and the staff loves us there, we wanted to share a wedding we didn't do. Steven and Reena's video does a great job of showing you the area outside the hotel and the ballroom. Plano is on pace for rapid growth. The new Legacy West area is a big attraction landing in Plano in extension to the Shops at Legacy. The Renaissance will find it’s home at Legacy West, therefore it will be a centerpiece in an amazing area. A brand new venue for a wedding that can be the perfect place for you. Out of the Top 3 Plano Indian Wedding Venues list, this is the newest venue. We love being the first Indian Wedding DJ's at new venues. We were there for the first Indian Wedding in November 2017. 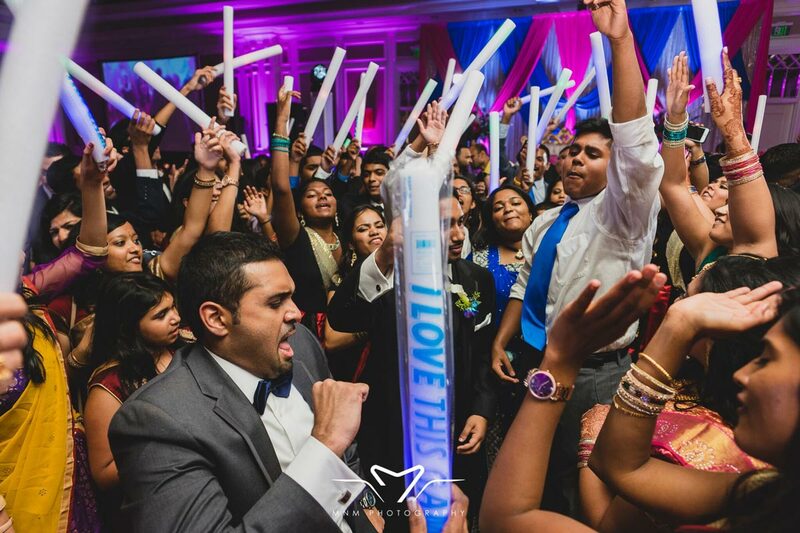 Check out how much fun Hari and Ekta's reception was at this new beautiful venue! This is a very new and modern style hotel. When people are looking for that modern and chic style; look no further, The Hilton at Granite Park is the paradise you have been searching for. Out of the Top 3 Plano Indian Wedding Venues list, this is the only one that has an in-house Indian Chef not to mention who can make great food. The last two times we were there were for an open house and a Bollywood themed corporate event. The next time we will be there is February 2018 and will share the wedding video afterwards. Your wedding is the happiest moment in your life therefore choose a venue you love and the right vendors that will help make your special moment a time you’ll never forget. Over our 23 years of bringing joy to thousands of couples, the DJ Riz Entertainment team performed many times at all of these Plano Indian Wedding Venues and can ensure you will have the time of your lives. Given these points, if you would like to talk about which venue we think is best for you or want more information on our services, contact us here.